GO: Anytime. Every season has its unique appeal. We went in May to beat the summer crowds and enjoy Newport's Oyster Festival on the wharf. If you read, R&R Charleston, you already know all about my love affair with oysters. Newport has so much to offer in a relatively small geographical area; this city by the sea has a remarkable history, gilded age mansions, crab shacks, beaches, magnificent sunsets, picturesque walking paths, seaside shopping... I could go on. We flew from Minneapolis on Delta, with a connection in Detroit. There isn't a major airport in Newport so we arrived at the TF Green International Airport in nearby Providence, RI. This airport is small, so we were able to claim our luggage and pick-up a rental car rather quickly and make the easy 45 min drive to the quaint seaside city of Newport. Rtip: If you have kids, bring a stroller, the walk to rental car area is a down the longest hallway I have ever seen (insert dramatic sigh). When visiting Newport, stop to admire the magnificent Beech trees that grace the landscapes of many historic homes. These trees were imported from Europe in the 19th century and are sadly reaching the end of their natural lifecycle. The Beech tree has a lifespan of 150-400 years and can reach 50 to 164 feet in height, depending on the species. The Preservation Society of Newport's mission is to plant and nurture young Beech trees to replace the older ones. The Weeping Beech tree at Chateau-sur-Mer is straight out of a fairytale. Because this was a last minute trip, finding a hotel room was a challenge. 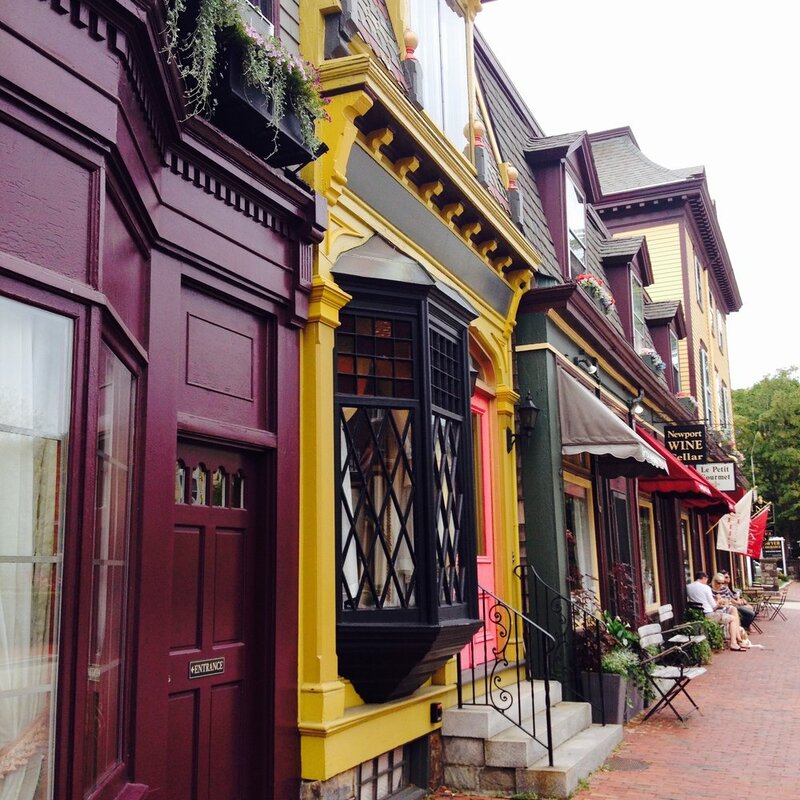 We chose the Hotel Viking, mainly for its location in Newport’s charming, Historic Hill neighborhood. 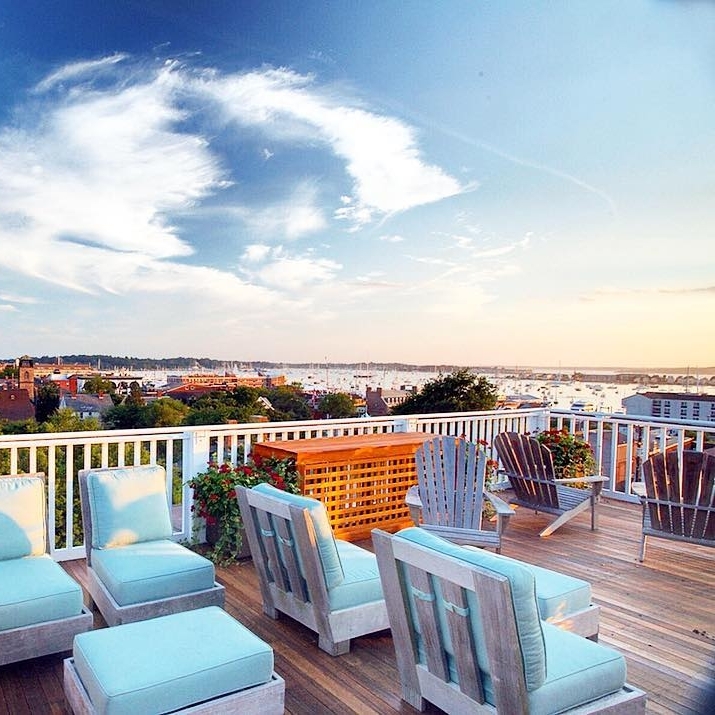 The grand front porch with its white rocking chairs was the perfect spot to sip a glass of wine and people watch, and the rooftop bar offers a beautiful view of the city, stretching out to the harbor. I suggest upgrading to an Estate room in the historic wing. Rtip: If you find yourself up early and want to explore this pretty city, head over to Liberty Donuts, for coffee and a free donut. This exclusive boutique hotel is where we would have stayed if it wasn't booked. The lovely 1909 property is a stunning, restored Newport mansion, in perfect proximity to the waterfront. We peeked inside this vintage coastline mansion after dinner one night and I mentally put it on my list for next time. With only 33 rooms, make sure to book early. Rtip: Another property recommended by a family who has spent many summers in Newport is the Castle Hill Inn, with private beaches and cottages overlooking the water. All I can say is, WOW! This gorgeous home, just a short drive from Newport, is a perfect place for a group to relax and enjoy Rhode Island. Beautiful on the inside and out, it includes extras like an expansive eating area, game room, fire pit and a hot tub. If traveling with a smaller group, check out their other listing, an insanely adorable Waterfront Cottage. Sailing anyone? We wanted to see Newport from the water, so we took a half day sailing trip along the shores of the East Passage of Narragansett Bay. We enjoyed a cruise around the Newport Harbor on a lovely antique yacht named the Temma. Temma’s Co-Captains, Alana and Greg, were charming and capable sailors who shared a deep love for the beautifully restored Temma and their City by the Sea. With a glass of wine in hand we took in the sights from a comfy seat aboard this beautiful vessel. Our highlights were stopping for a dip in the water at the end of our cruise and catching a glimpse of the Hammersmith Farm, the childhood home of former First Lady, Jacqueline Bouvier Kennedy, and the site of her wedding reception to JFK in 1953. If you need some fresh air and exercise to negate the bowls of New England clam chowder head to the Cliff Walk. This 3.5 mile trail is situated between the ocean's shoreline and the backyards of Newport's Gilded Age mansions. Most of the trail is easy walking, but part of the southern half is along a rocky shoreline with quite a drop, that is where we decided to turn back. When you finish the trek stop for a refreshment at the Chanler at Cliff Walk. If you've worked up an appetite again head over the bridge to Flo's Clam Shack. It's famous for a reason. Many of the nations wealthiest families summered in Newport in the 1900's. These extravagant mansions are a site to behold. You can make a day of touring them or just pick a few. The most popular and over-the-top homes are the Breakers and the Marble House. 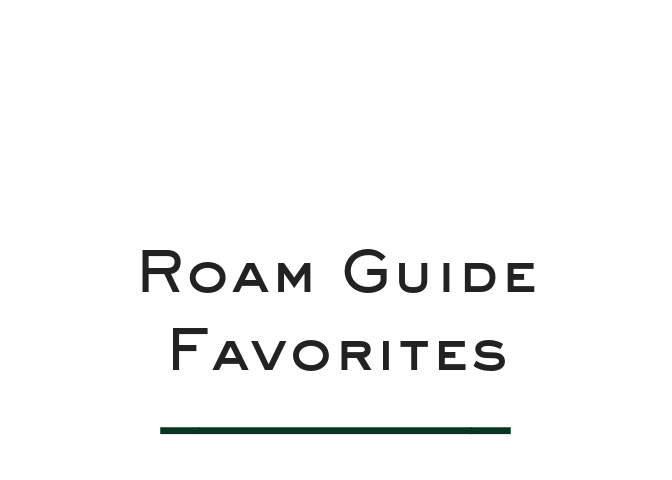 For a bit more understated luxury (if you can call it that), tour the Rosecliff or the Elms. If you have time, don't miss the Isacc Bell House, it is a welcome change of pace from the opulent mansions, but equally beautiful. Don't miss these 10 miles of winding beauty along the rocky coast. We suggest biking the loop but if you prefer 4-wheels, take the drive. The views from the waters edge are breathtaking. Go early during the summer to avoid the crowds. We went in the Spring and it was smooth sailing both ways. If you have time, stop at Brenton Point State Park for a picnic or to watch the sunset. Rtip: For a shorter bike ride, and a better fit for kids, try the 2.5-mile loop around Fort Adams State Park, and enjoy the scenic views of Newport's Harbor, the Newport Bridge and Narragansett Bay. Even if tennis is not your thing the Tennis Hall of Fame is worth a look. Although, unassuming from the street, the property is a National Historic Landmark set on six acres of gorgeous grounds and has the oldest operational grass tennis courts in North America. No trip is complete without a stop at Bowen's Wharf. The heart and soul of the tourist district, it was crowded (even in May) but worth the visit. The cornerstone of Newport since 1760, Bowen's Wharf mindfully combines the past and the present. Walk around, peek in the shops, grab some ice cream, and enjoy the harbor views. #Rtip: There is not a lot of parking available by the Wharf so it is best to walk if you can. Need a beer while you're there? Stop at the Wharf Pub for a large selection of New England craft brews. Fort Adam State Park, situated on the mouth of the Newport Harbor, draws thousands of music lovers to their summer Jazz and Folk concerts. See the schedule here. Fort Adams is about a 15 min drive from Hotel Viking. If you go, and you should, be prepared to park and then walk a good distance. I am always at the beach in the summer. Usually Rejects Beach at the end of cliff walk or Second Beach, if I want to go for a nice walk. To list my favorite summer things; Third Beach for sunrises, Ocean Drive for sunsets and a cocktail at Gurney’s watching the sunset and panoramic bridge views. Also, newportFILM is a documentary series that has outdoor films at various locations every Thursday In the summer - best food, amazing locations, and even better films. Also, it’s free...donations welcome! Be sure to visit The White Horse Tavern. Built in 1652 and converted to a tavern in 1673, it is the oldest tavern in America. The building is quaint and cozy, with creaky wood floors, wood-beamed ceilings and light from candles and oil lamps. We had a Dark and Stormy at the bar and moved to the dining room for dinner. Our favorites, the lobster mac and cheese and Narragansett Bay oysters. Rtip: Want more oysters? Head over to Midtown Oyster Bar and treat yourself to a dozen. This place is a favorite of locals and recommended by our friends at Antique Yacht. Opened since 1936, this local treasure was recommended to us by locals and tourists. We stopped here for a late lunch after the Cliff Walk, but consider going at sunset, they have a fantastic upper deck. Our favorites were, not surprisingly, clams; fried clams, clam cakes and clam chowder, all paired with a cold beer. This neighborhood gem serves big breakfasts in a casual atmosphere, reminiscent of an old school diner. Get there before 9 a.m. to avoid lines, but no matter, the Lobster Eggs Benedict, Corn Beef Hash and Fresh squeezed orange juice are worth the wait. They also make and bottle their own hot sauce, we liked it enough to buy a few bottles to take home. Oh, and bring cash- they don't accept credit cards. Need a break from seafood? Get a juicy burger or chili dog with hand-cut french fries at the Mission. All the burgers and dogs are ground in-house and they offer a great beer selection. Not in the mood for beef? Head over to their sister restaurant Winner Winner and get yourself a chicken dinner. One would think a newporter would say “I like to eat anywhere by the water”, totally not true. My all time favorite spots are tucked away in the most obscure places in Newport. To name a few Boru Noodle Bar on Broadway, their spicy miso ramen and pork buns are dream worthy. The Cru Cafe off of Bellevue, Harrys Bar and Burger, and my favorite restaurant of them all is Pasta Beach, who recently moved locations to Bellevue. Be sure to make a trip to The Lawn at Castle Hill and take in the incredible views with a glass of wine or a cocktail. Open Memorial to Columbus Day you do not need to be staying at the resort to enjoy the lawn. Take a walk to the very end of Bannister's Wharf and grab a Cup of Jo at the Coffee Grinder. If you need something stronger, they make a great Expresso and you can't beat the view. Need a break after your walk down to Bowen's Wharf? Stop at the Wharf Pub for a great selection of New England craft brews. Bath and Body products hand-crafted in Newport, grab some soap or a candle to bring home. Who doesn't like body care you can't get anywhere else? This reef to table sea salt is 100% pure and harvested locally from the Brenton Reef area of Ocean Drive. You can purchase a blend at Virgin & Aged while shopping on Thames Street. Bring walking shoes, these Sperry’s below are a favorite, a layer for the evening and a good book (or two). The Age of Innocence by Edith Wharton, won the 1921 Pulitzer Prize for fiction. Set in the 1870's during the Gilded Age when the New York upper-class spent their summers in Newport and society people ‘dreaded scandal more than disease.' If you haven’t read this classic, during your visit to Newport would be the perfect time. Click to see where we roamed in My Maps.